Hi Friends. How are you all doing? 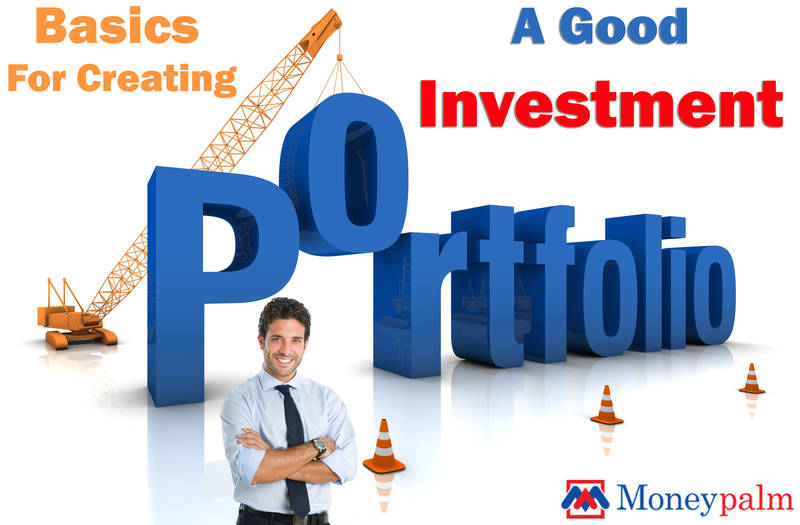 Recently we have received many requests to help you build a good investment portfolio. So we will take up this topic today. Devising a balanced and good investment Portfolio can have a huge impact in achieving your long and short term financial goals. At first you may think it’s a very difficult task to create a good portfolio, but honestly it is not that difficult. If you follow a few basic rules, creating a good investment portfolio can be a very easy task. So let’s understand them one by one. Here the goals can be, whether you want to invest for a long term period or a short term period. If you are investing for a longer term, you should not be concerned what happens to your stock in a shorter term. Also, let’s say your goal is short term, than it is suggested to mentally prepare yourself for short term market volatility and possible losses. If you are not prepared for that, better stick to longer term goals. Also, another example of an investment goal can be, whether you are looking to park your money for investment purpose, or something which gives you a regular fixed income. If your purpose is to generate a regular fixed income and not the growth of portfolio, do consider the inflation aspect. Now, nobody can do this for you. You are your best judge. And remember every single investment involves risk. There is no such thing in this world as a Free Lunch. Also remember – No Pain, No Gain. But yes, you can decide how much risk you want to take. Generally FDs are considered the safest, but hardly give any return. But does that mean we invest all our money in less safer heavens if we want to earn good returns? The answers is YES and a NO. YES because, the level of risk involved in a particular investment in most of the cases (Not all) is directly proportionate to returns. Example: You buy Index Options (Call or Put). They are risky but are highly profitable. No because, if you give time to understand and learn the investment techniques, you decrease your investment risk and also have an option to choose better investment options with lower risk. But our sincere advice is, if your pocket does not allow you to lose money, better settle for less risky investments than the more risky ones. Or you might have a diversified portfolio strategy. Diversification is the key to create a good investment portfolio. A good portfolio should have a mix of different investment products like stocks, Government Securities, Commodities, Real Estate, and other options that you can think of. Also, Divessify based on your long term, medium term and short term goals. Long Term goals can be retirement planning, short term can be wealth creation. Investment is a science as well as art. It’s not magic that anyone can create quick wealth for you. Avoid such investment plans of tips that claim to earn quick bucks for you. Do not follow advices or others. Research and research hard. You have the capability to create wealth for yourself so believe in your abilities. It takes times but no one can care more about your money than you. So why believe in such bogus schemes or tips from others? If others could earn easy money for you, they would rather earn it for themselves. It better to be late than sorry. So take your own sweet time to research which investment options can give you good returns, what sectors are supposed to perform better and what are upcoming investment opportunities. We give 3 hours for a movie, we can give couple of hours for our hard earned money which can take care of our and our children’s tomorrow. So just a little more patience and a little more research can help you in creating a Good Investment Portfolio. We truly hope that you will follow the above guide and would like to wish you all the best on the Journey to Wealth Creation. So when do you start this journey? The answer is TODAY!!! Today is your day. Go live your life, achieve your dreams and work for a better tomorrow. AND YES, another reason to start this today for people who look for a reason – Today is Akshaya Tritiya. This is an ultimate day to take your first step. All the best and God Bless you all. Happy Investing and Happy Learning.